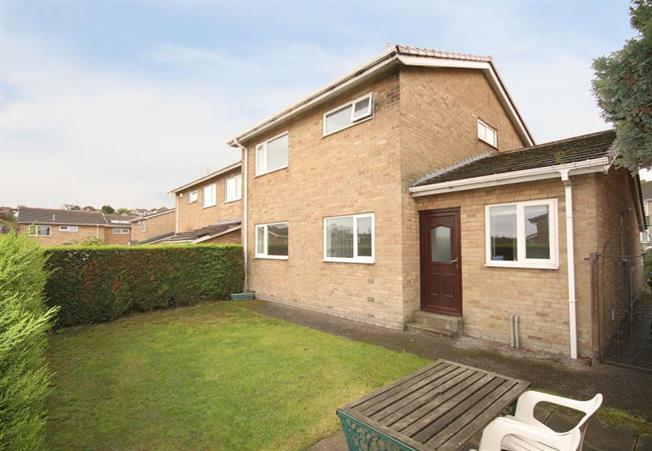 3 Bedroom Detached House For Sale in Sheffield for Guide Price £270,000. An exciting opportunity to purchase this THREE bedroom detached property in the desirable residential area of Bradway. It benefits from being in a good school catchment area and a range of local amenities. This property really is a must to view. Briefly the property comprises of an Entrance door which leads to the entrance hall with access into the kitchen fitted with a range of wall and base units in a white finish with additional storage cupboard. The utility room has a sink and fitted units. There is access to a downstairs cloakroom with toilet and a door leads through to the garage. The lounge which has a feature fireplace is accessed from the entrance hall and has an archway through to the dining area with a window overlooking the rear garden. Stairs lead to the first floor and a small landing provides access to the three bedrooms and family bathroom which has a white suite consisting of a wash hand basin, toilet and separate bath. From the landing is a useful roof storage space. Outside the front of the property has a driveway leading to the garage and a front lawn area. To the rear of the property the garden is mainly laid to lawn with paved seating area.